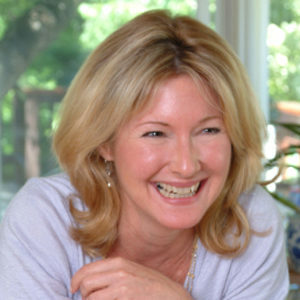 Brigit Binns is the author of more than two dozen cookbooks, including her most recent title, The Cook & the Butcher. She’s a graduate of the UK’s Tante Marie cooking school and ran a catering company in Spain before moving to the states to collaborate with some of the country’s most respected chefs, including Michael Psilakis, translating complex restaurant dishes into home cook-friendly recipes. Binns now lives in central California’s wine country with her husband and dog. Seriously, it’s so easy to make your own sausage. Insanely easy. And holy heck, does it taste phenomenal. No meat grinder required. “Like the best diner pancakes of your life.” “This is going to replace my standard pancake recipe.” That’s what folks are saying about these ‘cakes. The traditional Italian approach to pizza is one of restraint. We, uh, sort of took a few liberties. Okay. A lot of liberties. Who woulda thunk that a homemade pizza sauce could be so silken, so simple, so toss-out-every-other-sauce satiating? A sublime yet simple approach to cooking this most impressive roast. Certain to win friends and influence people–not to mention make phenomenal sandwiches the day after.